“Is this Delhi (Dilli) Darshan?”, “Is this the Delhi Tourism Bus Service?” Our HOHO Customer Support team hears this in almost every second call. What follows after that is an avalanche of Questions. - How many places one can cover? - How much time one will get at each spot? -Will there be any facility for Lunch? ...and a whole host of questions related to their Sightseeing Plan. 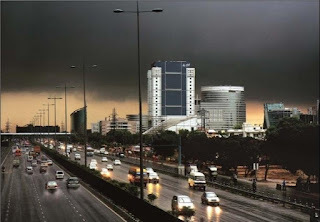 If you are also planning a Delhi Sightseeing but clueless from where to start, then you have come to the right place. Here, we have complied a list frequently asked questions by our lovely Customers. 1) How Many Sights will be covered? HOHO bus covers more than 22 sightseeing places. It has one day as well as two days package. One day tour allows you to explore the main tourist attractions like Qutab Minar, Lotus Temple, Red For that you always wanted to visit. However, we strongly recommend to go for the 2 days sightseeing tour. Why? because Delhi is a big city and there is so much to see and explore, you can also enjoy shopping at Chandni-chowk, Hauzkhas, Dilli-Haat and see places at your own pace. 2) How Much Time is Provided at Each Spot? Delhi Darshan with Hop On Hop Off Bus (popularly known as HOHO Bus) is very Unique. There is NO TIME LIMIT. Yes, You heard me right! There is complete time Flexibility. Well, Buses are available at each HOHO Sightseeing Stop at a regular frequency. You are free to board any HOHO Bus and go to the next stop. For instance, If You get down at Red Fort, you might take 45 mins or 1hr 30 mins to explore the place. Moreover, If you felt like exploring the nearby tourist attractions like Jama Masjid, savor Old Delhi Food at Chandni Chowk and much more, (Opposite side of Red Fort) you can do that. 3) What are the Timings of Buses? 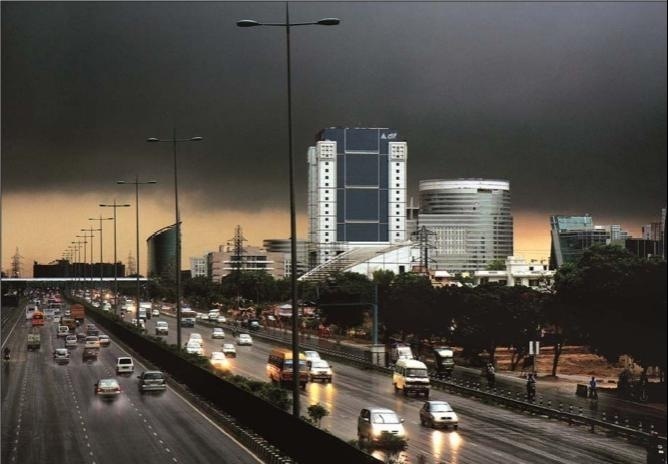 May be you only have a day for Delhi Sightseeing, may be you just have half a day or possibly, you are in Delhi at Odd Hours (after 10 am) when no sightseeing Bus service is available. I have good news for you. HOHO Buses are available starting 8:50 am and at a regular frequency of 40 minutes You can check out the HOHO Bus Timings . 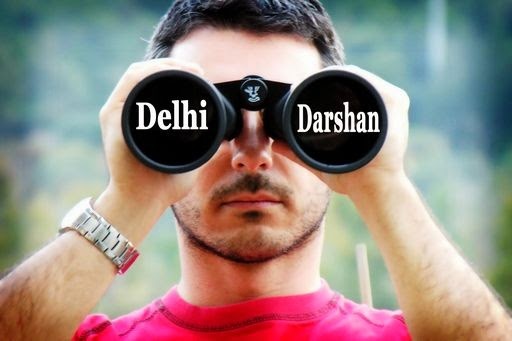 4) Which is the Nearest Delhi Darshan Bus from My Place? Nupur asked, “I will be staying at a Hotel in Paharganj. Which is the closest point for me to board HOHO Delhi Darshan Bus? ” Well the best part about HOHO bus service is the accessibility! There are 20 HOHO Bus stops spread across North, Central and South Delhi. You can start your Delhi Darshan from any HOHO Bus Stop. For instance, in the aforementioned Nupur’s Question the nearest boarding point would be the HOHO Cente at Baba Kharak Singh Marg, Connaught Place. You can easily locate yours using this Google HOHO Stop Locator . 5) Which is the Nearest Boarding Point from Railway Station or Airport? 6) By what time the Tour Ends? As I mentioned, the Buses run at a regular frequency starting 8:30 am. The Buses run till 6:00 pm. That means you can spend 9 to 10 hrs with HOHO Bus, experiencing Delhi at your own pace. You can choose to finish the tour early too, just in case you have a plane or train to catch. 7) What are the Ticket Fare for Adult, Children & Infants? HOHO Bus an Initiative of Delhi Tourism and Transportation Development Corporation,(DTTDC) Government of Delhi. It Follows Govt. Approved Rates. Keeping in view the overall features like Air Conditioned bus, Onboard Guide, Availability of Monument Entry Tickets to Skip the queue, etc and the overall quality of Service like Time Punctuality, Awesome Commentary by Qualified Guides and much, much more, price is very reasonable. Rs 400 (Adult) Only! Compared to other Sightseeing Services this is very Reasonable. Won’t you Agree? Child Ticket is based on height criteria of upto 3 feet. Fare would be half. In case of infant – Zero Fare, up to 2 years age. 8) How to Book Delhi Darshan Ticket? You can book ticket online at www.hohodelhi.com to receive an instant SMS confirmation on your mobile (number registered in India). Facility of Counter and onboard booking is also available. 9) Do HOHO Bus Operate on Monday? HOHO Bus do not run on Mondays. Most of the monuments and Museums are Closed in Delhi except a Few like Qutab Minar, Dilli Haat, Humayun Tomb. 10) Will You Cover Swaminarayan Akshardham Temple? This is a very frequent Question, quite obviously this is one of the Best Man Made Wonders of this era. As of now, HOHO buses do not go to Akshardham Temple. Why? Most of the time Tourists have only one day for Delhi Sightseeing and it takes minimum 4 hours to explore this attraction. What I would suggest is, if you have time, cover Akshardham after your Delhi Darshan with HOHO Bus. Take a Metro from Rajeev Chowk Metro Station located in Connaught Place to Akshardham Metro Station, it would hardly take you 20 mins. 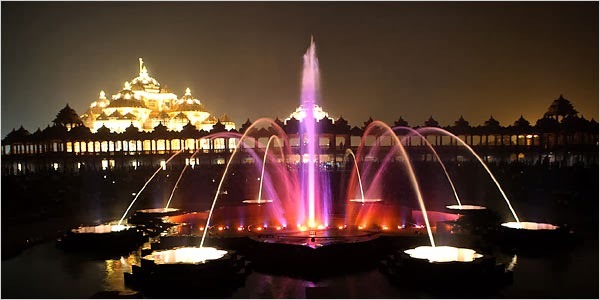 You would also be able to enjoy Light and Sound Show in the evening. 11) How to catch Delhi Darshan Bus by Delhi Metro? Delhi Metro has been the life line for Delhi-ites for a Decade now. It is one of the BEST Transportation Systems in the world. HOHO buses can be reached easily with Delhi Metro. You might find this link useful, it includes nearest Metro for each HOHO Bus Stop. I hope many of your questions regarding upcoming Delhi Darshan Tour have been answered upto your expectation. If you have any Question, please feel free to post it in the comment section below. Delhi ! Its really a wonderful places to visit in world. Thanks for sharing the wonderful post. very nice blog of yours.Booking Kathmandu to Delhi bus reservation by the Green city travels and tours. Contact at 9851005685 for Kathmandu to Delhi bus. Thanks for given this information here about this blog. I love seeing blog that understand the value. Wow! Superb blog. Very interesting post we enjoyed each and everything as per written in your post. Thanks you for this article because it's really informative. Bharat Taxi is providing best taxi services in all over India.